Remember when I said I had three graduations to attend in 2013? Well, two of them were this weekend! Crazy, right? 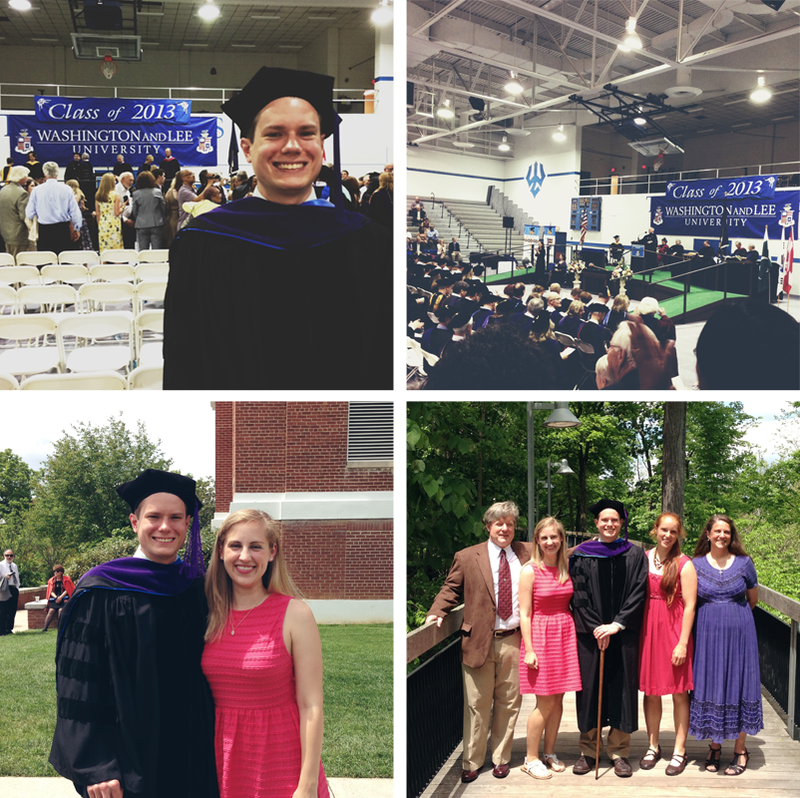 Brian graduated from law school and his sister graduated from college the next day! Both of the graduations were really nice, and barring a little rain the morning of Brian’s graduation (causing it to be inside) the weather was otherwise really pretty. I always kind of like graduations- it’s just fun to mark the end of an era and celebrate the graduate’s accomplishments. And we got to meet a lot of our friends’ families on Saturday, which was pretty cool. Brian and I got home after 11:00 last night and just collapsed into bed- we were wiped! This week is off to a crazy start- I have a couple of launches coming up soon, I can’t wait to share them with you when they’re all done! What does your week look like so far? Also wanted to give a little shout out to my mom! I wasn’t able to be with her on Mother’s Day, but I was thinking about her all day! Love you! Congrats to Brian and his sister! Is that the dress you mentioned you bought? I love it! Congrats to Brian! What a great accomplishment! !